Trust me this recipe is one to file away in your baking drawers for life! COMBINE: Sift the flour, salt and baking soda into a large bowl. CREAM: together the butter or margarine and sugar until smooth. Mash up the ripe bananas to make 2 cups. Stir in the bananas, eggs, and walnuts (optional) until well blended. CREAM: Pour the wet ingredients into the dry mixture, then add in some chocolate chips and stir just until blended. Divide the batter evenly between the two (9×5″) loaf pans. Top the batter with extra chocolate chips and/or chopped walnuts. BAKE: for 50 to 60 minutes in the preheated oven, until a knife inserted into the crown of the loaf comes out clean. Let the loaves cool in the pans for at least 5 minutes, then turn out onto a cooling rack, and cool completely. 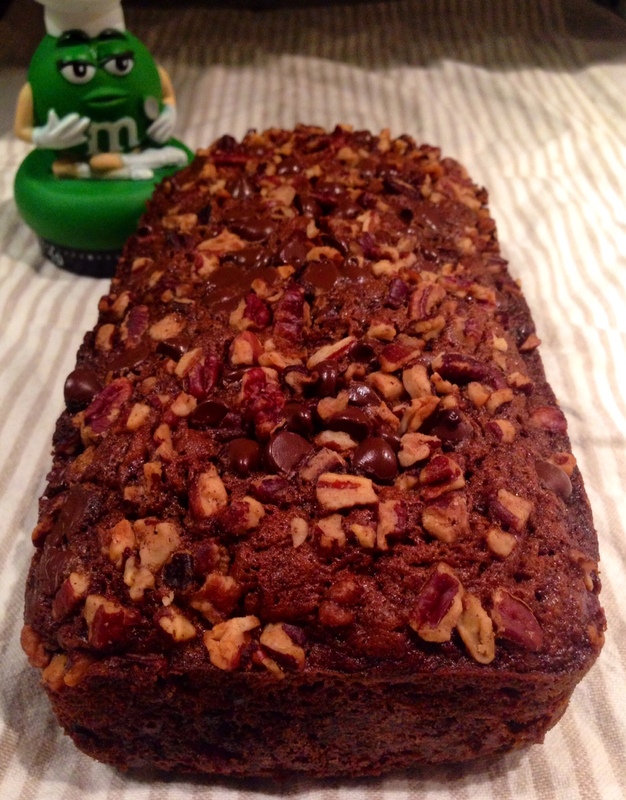 Posted in Baking, Loafs/BreadsTagged baking, banana bread, bananas, bread, chocolate, chocolate chips, delicious, food, moist, omg, recipes, walnutsBookmark the permalink.